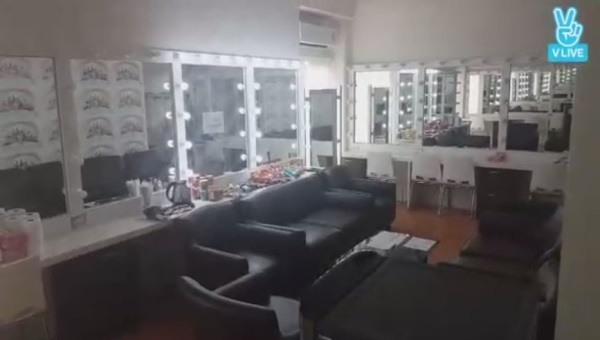 Twice gave a sneak peak into its waiting room for “Twiceland -- The Opening -- in Bangkok” concert via the Naver V app Sunday. 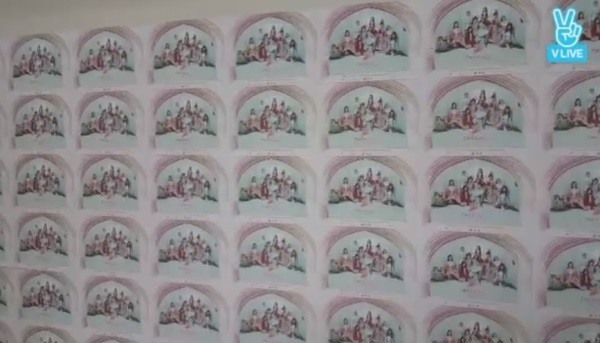 The two-minute video featured a wall filled with the girl group’s concert posters, the snack bar, the dressing room and the makeup room. Twice held its first concert in Seoul from Feb. 17 to 19. The idol band left for its first overseas concert in Thailand on Thursday. 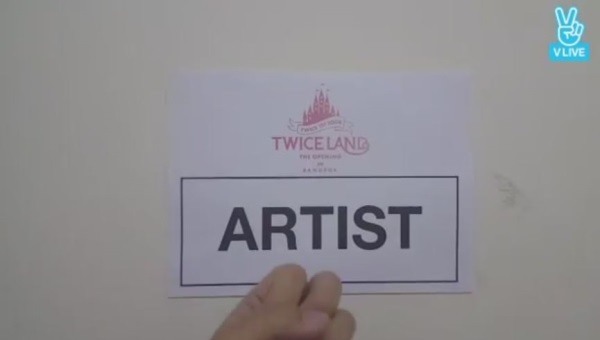 Twice successfully finished the three-hour concert at Thunder Dome in Bangkok on Saturday, which thrilled 4,000 fans. The nine-member group will continue the Twiceland tour in Singapore, which will take place on April 29.